Here's my card for the current Fitztown Challenge Blog (FCB) Challenge #11 - Metal. All supplies I've used are from my stash. I've used four metal brads for the metal on my card. 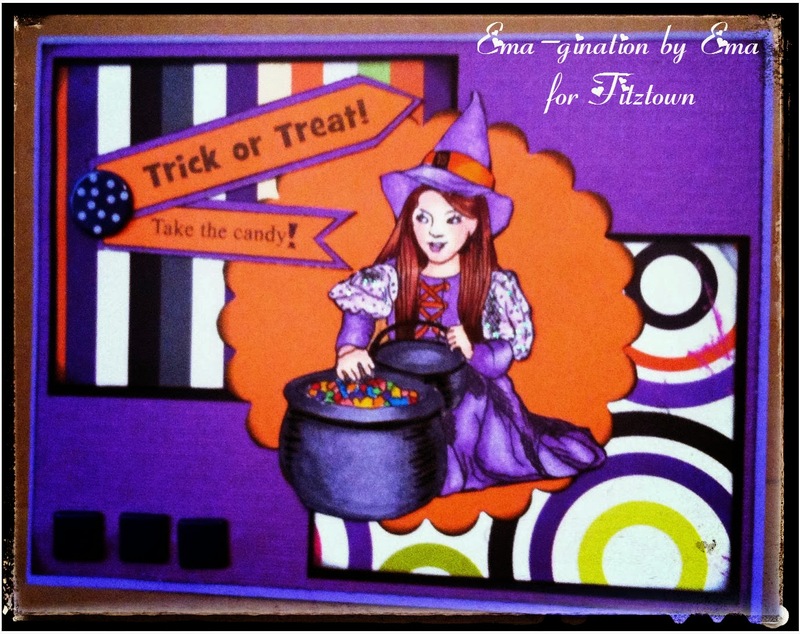 I've used Halloween #15 from the Halloween Collection at Fitztown. I am a follower of these blogs and have badges displayed here. Hope you will come on over to FCB and join in on the challenge! We'd love to see your creations! Fab card Ema! Love your coloring - it's something so intense.